Use the knowledge and expertise gained in our first 50 years of business to provide the most economical, time conscious and professional project possible for our owners. 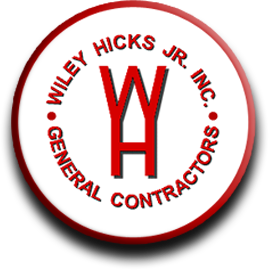 Wiley Hicks, Jr., Inc. celebrated 50 years in the construction business in 2011. Our history is one we are very proud of. The construction industry has been very good to this company and we look forward to continued success. This is the 2nd phase of Bain Athletic Center which included a new weight room, strength conditioning offices and restrooms. Complete renovations to the men's and women's locker rooms and the pro shop. New K-12 facility including a new football stadium, baseball and softball field, field house, ag building, maintenance building, and vehicle storage building. New Agriculture and Animal Care Facility. Complete renovation of an existing grocery store to a new administration facility for the school district. A 42,000 square foot trucking facility including 5 fueling bays, 2 truck washes, paint booth, oil change pit, tire shop, 10 mechanic bays, and office space. Renovation of front office area.